SGC News Hub - Alberta Off-Road News: SGC Featured in Red Bulls - On Any Sunday -The Next Chapter! 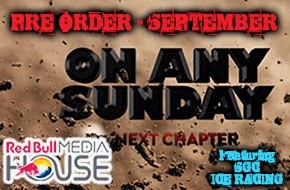 SGC Featured in Red Bulls - On Any Sunday -The Next Chapter! We are so proud of our members!! SGC has made it into Red Bulls On Any Sunday - The Next Chapter!! Stay tuned as there will be theater showings and more info coming out. Thank you for being so awesome! We are trying to get an official screening in Calgary for everyone to come and enjoy the movie, we will let you know what we can make happen.